Are GMO-free, gluten-free, high fructose corn syrup-free or dye-free foods important to you? Shopping for pet food made in the U.S.A.? Want toxin-free health & beauty or cleaning products? You’ve come to the right place. 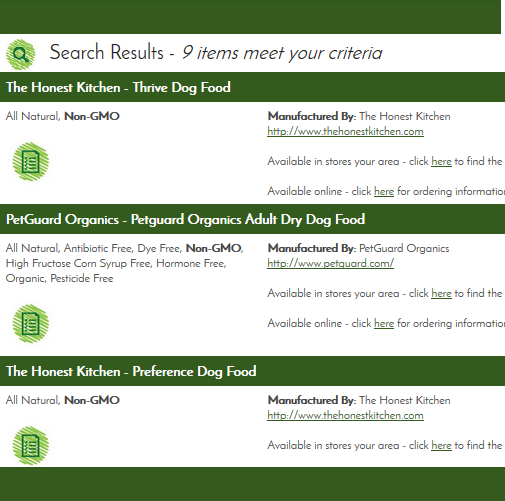 greenestbeans.com is your one-stop resource to find healthy and sustainable choices for you and your family – including pets! Choose one or more characteristics to find products that meet your dietary needs, health concerns, or preferences. Create and save a shopping list. We give you control over your shopping choices. How Does it Work? - Three Simple Steps! 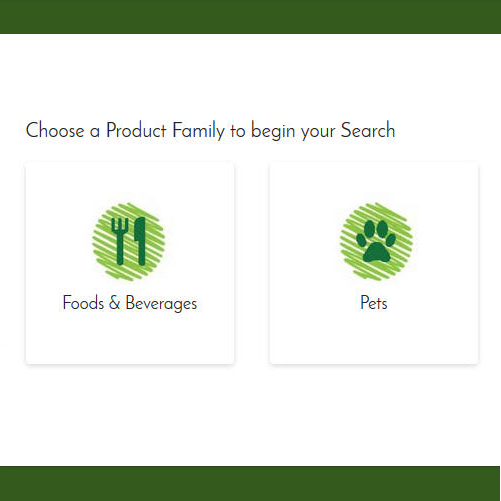 ✓Select a Product Category and Product Type in the Family you chose on the first screen. ✓Click the boxes for all the Product Characteristics you are seeking in this search. ✓Fill in your Zip Code, and Hit the Search Button. ✓A list of products that meet your search requirements will immediately appear. ✓Under the product name, you will see all the healthy product characteristics associated with the item, with your selected characteristics in bold. ✓You can add the product to your shopping list by clicking on the list icon under the product (note that you need a Free Account in order to Save your shopping list). ✓On the right, if applicable, we provide manufacturer’s name, manufacturer’s website, a link to purchase the item online, and a link to access retail locations that sell the product. ✓To the far right of the search results (not shown on the screen shot above), you can modify your search requirements or search for entirely different products. In Foods & Beverages, search for non-GMO Foods, High Fructose Corn Syrup Free Foods, Dye Free Foods, Antibiotic Free Foods, Organic Foods, and more. Choose individual characteristics, or any combination. 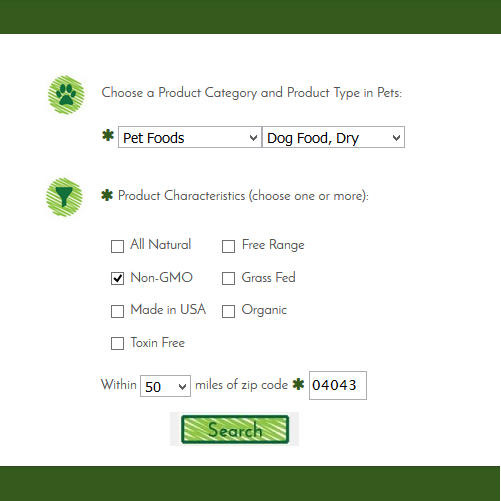 In our Pets section, search for non-GMO Pet Foods, Organic Pet Foods, Toxin Free Pet Foods, Pet Foods Made in the USA, and more. Choose individual characteristics, or any combination. In Health & Beauty, search for Fragrance Free Health & Beauty Products, Organic Health & Beauty Products, Toxin Free Health & Beauty Products, and Products That Are Not Tested on Animals. Choose individual characteristics, or any combination. Use the Cleaning Search to find Organic Cleaning Products, All Natural Cleaning Products, and Toxin Free Cleaning Products. Choose individual characteristics, or any combination.